Suitable for customers who only require the van for a few hours. The hourly rentals are cheap and affordable. Using this service, our drivers will provide the transport for your cargo using our very own fleet of vans. If you require a more long term service, let us know the frequency and the locations. We will provide you a quote from there. Rentalorry’s van rental with driver services are especially for customers who do not have a suitable driving license, who are unfamiliar with the roads or simply need assistance with driving the van because they do not feel like driving. Whether you require a passenger van for transporting people or a cargo van for transporting goods, we provide professional and friendly drivers for both types of services. 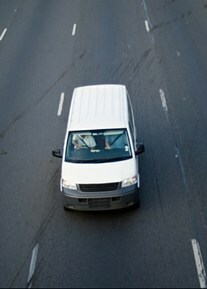 Our drivers will do all the driving for you so you don’t need to worry about anything. Our driver Mr. Foo was really friendly and helpful. It was our first time to Singapore and we have a really great time. Will recommend this transport service to our friends and family. We were moving to a new place and just needed a small van to transport some belongings. The staff helped us book a van in a matter of minutes. Really quick and easy. At Rentalorry, our drivers have many years of experience under their belts in the area of ferrying people or transporting cargo across Singapore. Even though they are very familiar with the roads, some vans do come equipped with a GPS system to allow the drivers to navigate around Singapore more quickly and efficiently. If you are not from Singapore and looking for a tour van with a driver, our drivers are also able to take you around the Merlion City. Some of our drivers are familiar with the local attractions and can bring you around Singapore to let you discover the less commercialized parts of Singapore and taste our local delicacies. However, these drivers are in high demand and often need to be booked way in advance. The cargo vans can used to transport all sized of cargo or heavy equipment, but of course you need to let us know before hand so that we can prepare the appropriate vehicles. 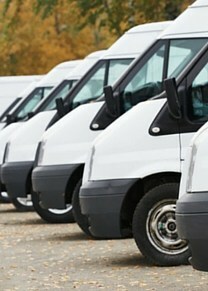 To make things even more convenient for our customers, we also provide one way cargo van rentals. Our driver will drive the van to the pickup point for your to load your items on and deliver it to your destination without the hassle of you having to return the vehicle. If you are taking a tour out of town then a driver would definitely be more important. We would allocate drivers whom are familiar with travelling out of Singapore so you not need worry about the directions. At the same time, you can also spend more time admiring the scenery and bonding with your group rather then having to keep focusing on the road. If you think a van may be too small to load your cargo one. We also have other vehicles that come with a driver. The lorry rental with driver is another very popular and common service. We have the common 10 ft and 14 ft lorries as well as the 24 ft and lorry with cranes to provide assistance to our customers. Let us staff know what you plan to move or transport and we will make the best recommendation to suit your needs.